The Danish artist Adam Saks has been awarded the Kjell Nupen Memorial Grant. The Memorial Grant comprises a work stay at ULAE’s workshop and a cash prize of NOK 50 000. Mr Saks will receive the award at an event in London on 8 October 2015, with Her Majesty The Queen in attendance. Adam Saks (born 1972) trained at the Royal Danish Academy of Fine Arts in Copenhagen, Denmark, and Berlin University of the Arts in Germany. “Adam Saks takes an enthusiastic and experimental approach to most graphic art techniques. He masters and embraces the unique forms of expression intrinsic to the various techniques, thereby transforming the technical limitations and potential of graphic art into something distinctive and personal,” says Queen Sonja. Mr Saks’s art lies in the tension between figuration and abstraction, and his works often have an ambiguous narrative. Mr Saks’s works are featured in public collections in Denmark, Finland, Sweden and France. In 2014, Adam Saks was one of 13 artists nominated for the Queen Sonja Print Award. Kjell Nupen himself nominated the young Danish artist. The grant was established last year in commemoration of Norwegian artist Kjell Nupen who died 12 March 2014. It is to be presented every second year, and will be awarded to a Nordic artist who has demonstrated excellence in graphic art/printmaking. This is the first time the Kjell Nupen Memorial Grant has been presented. 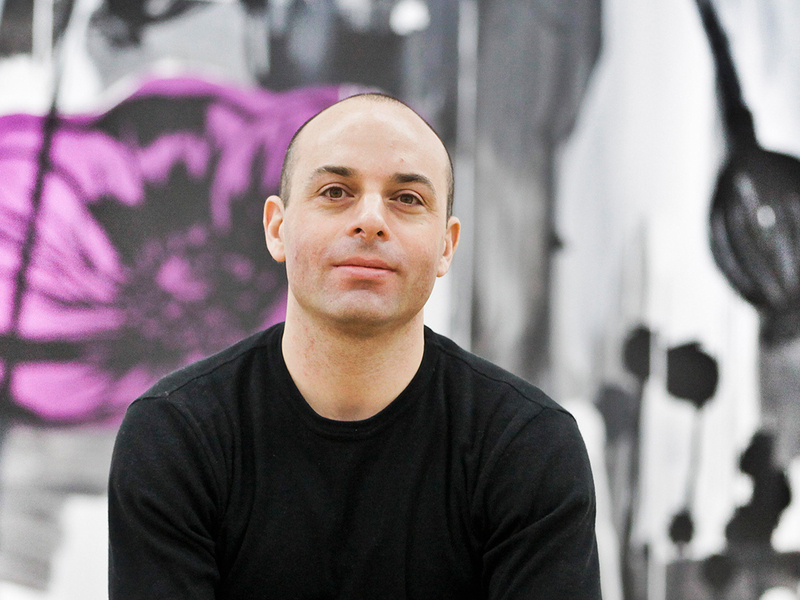 The Danish artist Adam Saks has been awarded the Kjell Nupen Memorial Grant. Photo: Michael Bode. “A visit like this gives us better opportunities to stand together and make a difference.” This is how His Royal Highness The Crown Prince summed up his official visit to the Pacific region, where the impacts of climate change have been the focus of attention. Her Majesty The Queen opened the major exhibition “Edvard Munch: Love and Angst ” at the British Museum on Tuesday evening. It is the largest exhibition of Munch’s graphic works in the United Kingdom in 45 years.